WASHINGTON, D.C. — A bipartisan group of senators from the Midwest and Atlantic Seaboard introduced a bill March 23 to restore funding for boater safety and sport fish restoration programs. If passed, the bill would ensure California continues to receive federal funding for its boating and environmentally-themed programs. Sen. John Thune (R-South Dakota) introduced Senate Bill 834 (S 834) with Sens. James Inhofe (R-Oklahoma), Bill Nelson (D-Florida) and Benjamin Cardin (D-Maryland). The bill is officially listed as “a bill to amend the law relating to sport fish restoration and recreational boating safety, and for other purposes” and cleared the Senate’s Commerce, Science and Transportation committee March 25. The bill proposes to extend the Dingell-Johnson Sport Fish Restoration Act, which creates a federal trust fund to help states pay for fishing conservation areas and recreational boating safety. According to news reports, the trust fund is set to expire in May. Thune’s bill would keep the trust fund intact through 2023. About $600 million is raised annually through user fees on fishing tackle and equipment, imported angler equipment and boats, motorboat fuel and small engines to help fund federal and state programs on boating safety, fishery management agencies and habitat conservation. The Sport Fish Restoration and Boating Trust Fund distributes money to a variety of programs and agencies, including Pacific States Marine Fisheries Commission, Clean Vessel Act, Sport Fish and Boating Partnership Council and Recreational Boating and Fishing Foundation, among others. State-level fish and game departments currently receive 57 percent of money available in the Sport Fish Restoration and Boating Trust Fund. SB 834 proposes to increase the state share 57.42 percent. The bill also proposes to increase the percentage of money available to restore and protect coastal wetlands. Specifically, the U.S. Department of Interior would have to allocate 18.54 percent — up from 18.5 percent currently — to coastal wetlands protection and restoration. However, the bill reportedly cuts the share of funding allocated to boat safety programs. Specifically, the U.S. Coast Guard would be entitled to 18.04 percent of the trust fund (down from 18.5 percent) for its boating safety programs. Beyond boating safety and conservation, S 834 also proposes to fund a National Recreational Boating Survey; the survey would cost $1.5 million. The National Boating Safety Advisory Council, which is set to expire in 2020, would be extended to 2023 if S 834 passes. Finally, if the bill becomes law, the U.S. Fish and Wildlife Service would be required to make annual reports to Congress, updating elected representatives of grants, policies, project progress and workshops. The Sport Fish Restoration and Boating Safety Trust Fund were established in 1950. 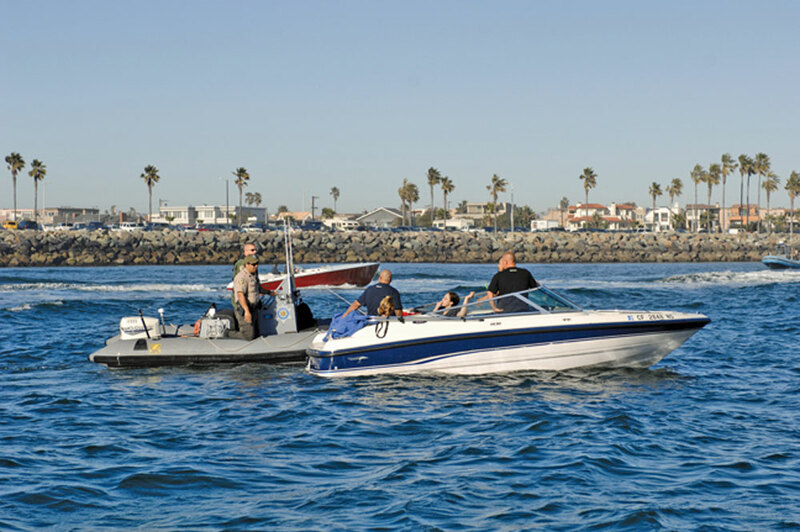 California benefits from federal funding for initiatives such as the National Boating Infrastructure Grant Programs, which helps provide transient dockage for recreational boats of 26 feet or more. Stay tuned to The Log to monitor S 834’s progress through the Senate and House.